Rickie Fowler ignited the Puma brand when he became their brand ambassador after turning professional. His signature flat bill hats are worn by kids both on and off golf courses all around the world. Puma is renowned for making clothes and shoes that are bright and trendy. 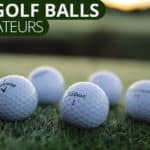 They push the boundaries of the sometimes stuffy golf industry and young people absolutely love it. In recent years, Puma has released high top shoes, colorful golf shoes, and everything in between. The Puma Ignite Pwrsport golf shoe is one of the best golf shoes that have hit the shelves in recent years. ThePuma Ignite Pwrsport is trendy, functional, and waterproof. 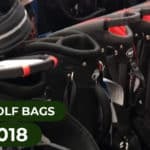 It is no doubt the best golf shoe for style in 2018, but it’s also comfy and durable. A high-top golf shoe with a fluorescent color scheme looks great when Rickie Fowler wears it, but the average golfer won’t be able to pull that look off. 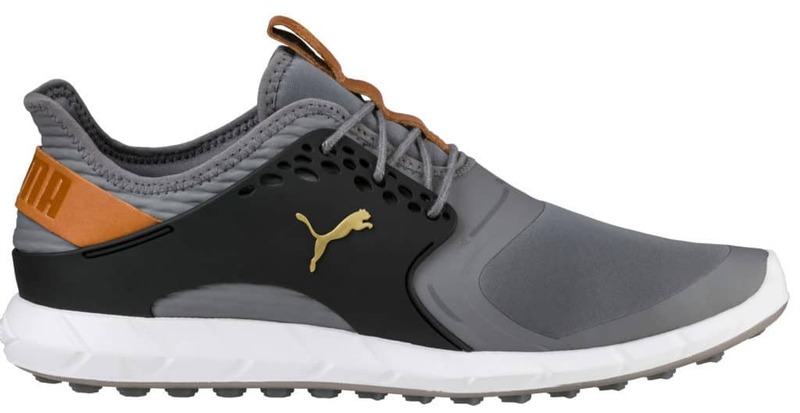 This (seemingly obvious) phenomenon has held Puma golf shoes back in the past, but they’ve corrected it with the Puma Ignite Pwrsport. 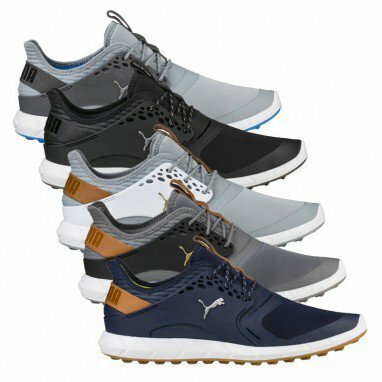 The Puma Ignite Pwrsport is a trendy golf shoe that can be worn by golfers with different style preferences. The use of leather accents along with the mesh body of the shoe gives the shoe a sense of class and a little flare. The fact that they offer this in so many colorways is great. It allows the golf shoe to be adapted to tons of styles while maintaining its edge. The golf shoes are definitely the best golf shoes for style. 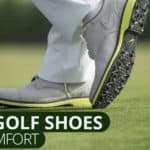 Although it’s important to look the part when you tee off for your weekly round of golf, at the end of the day, a functional high-performing golf shoe is what we all need. Style won’t help you lower your score on the golf course. ThePuma Ignite Pwrsport plays and feels just as good as it looks. It is principally built for maximum flexibility and a lightweight feel. These golf shoes mimic the type of shoes you might wear to the gym or when you’re out for a run. The Puma Ignite Pwrsport is a spikeless shoe meaning it does not feature the heavy, often mud-laiden, traditional golf spikes. However, the rubber grid sole provides excellent traction to eliminate slipping in wet conditions. 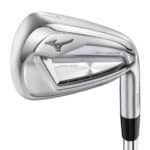 In addition, the design also features Puma’s PWRFRAME technology, this gives golfers that feeling of being locked down onto the ground for added stability. 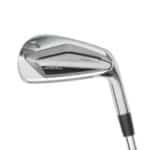 On a rainy day, your main goal for comfort is to keep your feet and golf club grips dry. In the past, lightweight mesh shoes didn’t cut it on a rainy day. Your feet would end up getting soaked and it would ruin your round. Lightweight shoes typically were breathable which translated to disaster on the wet golf course. The Puma Ignite Pwrsport golf shoes are constructed out of a non-stretch waterproof mesh material. 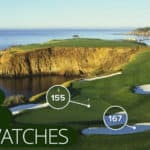 This new technology makes these golf shoes keeps the water out without sacrificing flexibility and feel. This combination makes the Puma Ignite Pwrsports the perfect lightweight waterproof golf shoes for a rainy day. The Puma Ignite Pwrsport golf shoe is without a doubt one of the best golf shoes to hit the market. 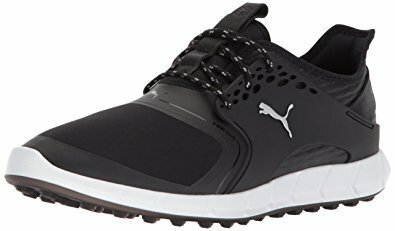 The Puma Ignite Pwrsport golf shoes combine a trendy look with functionality and performance. You no longer need to sacrifice playability for syle. 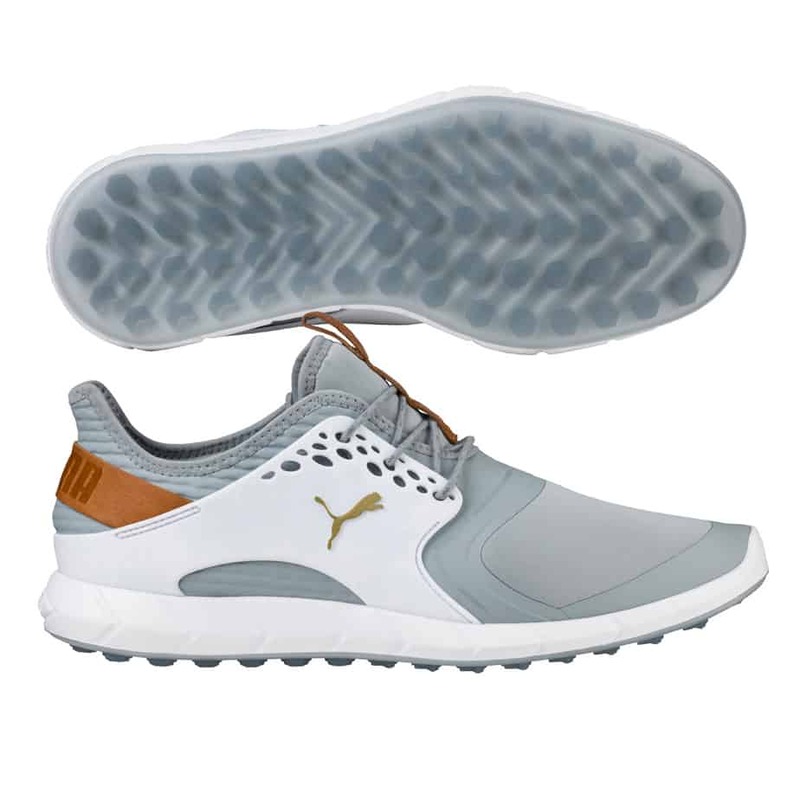 If you are in the market for a high-quality stylish looking golf shoe that will make a statement both on and off the golf course then you can’t go wrong with the Puma Ignite Pwrsport.